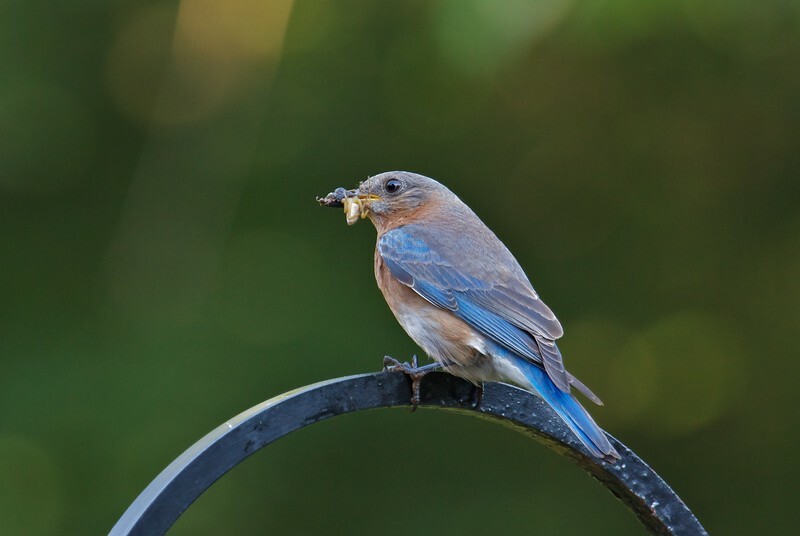 Been watching the bluebirds nesting near our deck, and noted that, when returning to the nest with food, they usually perch on a bracket at one corner of the deck. So I positioned a chair on the deck this morning and got a few shots of the parents returning from their "hunt." Note the variety in their diet!